The 2018 year was the fourth hottest year ever since we have data about that, or rather since 1880. That is what NASA said with its most important entity, the NOAA (National Oceanic and Atmosphere Administration). Temperature is only a part of the story; extreme weather and high temperatures affected many countries and millions of people, with devastating repercussions for economies and the ecosystem in 2018. Even with this alarming data about the climate change, many developed countries appear impassive and insensitive about the greatest problem of our generation. 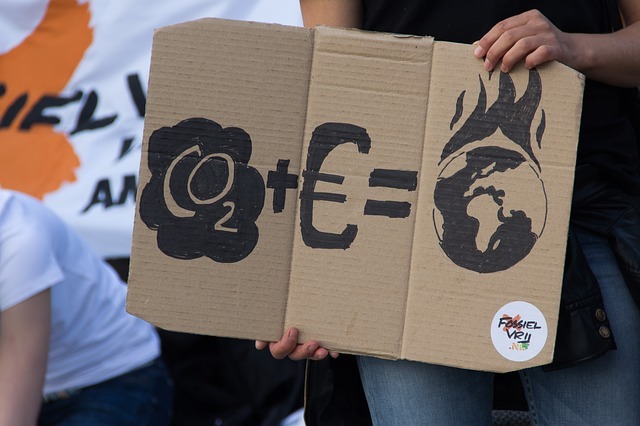 Fortunately, the civil society is not alone in this battle against climate change: there are a lot of international NGOs focusing on climate change and its terrifying consequences. Just to give some examples, we can think about the importance and the influence of NGOs like Greenpeace or WWF which fight against the blind actions in countries which governments do not understand how precarious the entire ecosystem equilibrium of our planet is. Climate change is happening so fast that many plants and animal species are struggling to cope with it. Many terrestrial, freshwater and marine species have already moved to new locations. Some plants and animal species will be at increased risk of extinction if global average temperatures continue to rise unchecked. Just to give an example, the impact of climate change is the most dangerous at the North Pole than elsewhere on the planet. Due to global warming, Arctic ice is disappearing and every summer the surface of the Arctic Ocean that remains frozen is getting smaller. Of course what is happening on the North Pole is not just a problem for the animals living there – polar bears for example – but also for the entire human being. In fact, climate change is already having an impact on our health with a huge increase of heat-related deaths in some regions and a cold-related deaths in others. We are already experiencing a change in the distribution of some water borne illnesses and disease vectors. Moreover, many poorer, developing countries are among the most affected. People living there often heavily depend on their natural environment and they have the least resources to cope with the changing climate. Damages on property and infrastructure and to human health impose heavy costs on society and their economy. This fast climate change is surely a human fault. So why, in spite of that, a lot of governments do not care about that? Well, we all already know the answer and it could be banal but the truth is that the most industrialists over the world take care about their own economy interest; they treated our planet as a big garbage bin hoping that the planet could be able to fix everything. The disastrous consequences we are coping with everyday are already an answer. There is still hope and it comes from Belgium, in particular from Belgian students. At least 70,000 people marched on January 27 in Brussels, braving the cold and the rain to urge politicians to uphold their promises on countering climate change. Chanting and holding placards with slogans such as, “Stop denying the Earth is dying” and “What I stand for is what I stand on,” demonstrators walked through the streets of the Belgian capital towards the European Parliament building to send a message about climate change to European lawmakers. A similar demonstration took place in Brussels last December, where organisers called for “ambitious” climate policies to limit global warming to 1.5 degrees Celsius in line with goals set by the Paris Agreement in 2015 and urged for more renewable energy, more cycling paths and cleaner air, through “a socially just transition”. It is four weeks in a row that a lot of students in Brussels skipped school to participate in this climate change’s strike and this movement slowly includes a lot of European countries, as Italy or Great Britain, and it is taking on a global dimension and the proof about it is a letter signed by more than 300 scientists to sustain young activists in their fight against Belgian and European politic leaders. To understand in a better way what it is happening in Belgium, we should start to ask what the Paris Agreement is: at the Paris climate conference (COP21) in December 2015, 195 countries adopted the first ever universal, legally binding global climate deal. The agreement recognises the importance of averting, minimising and addressing loss and damages associated with the adverse effects of climate change and, maybe it is the most important point, recognises the important role of cities, other sub-national authorities, civil society and the private sector. As I wrote before, more than 190 countries signed this agreement but one of most important country in the world and the biggest polluter of the 21st century does not want to sign this agreement because “this agreement is very disadvantageous for a lot of American industries”. Of course we are talking about the Trump administration. With these questions and a lot of more, 70,000 demonstrators (35,000 school children and students) skipped class to go on the streets with their climate demands. Even though the direct impact on Belgian politics is small because the country is led by a caretaker government, the demonstrations have pushed the issue of climate change up the agenda as parties prepare for national and European Union elections in May. “They left us a planet in a bad shape so it is our job to change that”, said 17 year old student Manon Wilmart, “but we can do it. We are younger and we know that we can do it. We are in the mood to change the climate, to change everything.” For this reason this march in Belgium it is very important, because it was originated by the new generations. The same generation that cares about our planet and knows that it is our last possibility to change the way to handle the Earth. Our climate is sick but we have the power to heal it and ourselves, and create a greener more equal world. We are at a crossroads. If we act now, as a global community, to keep temperature rise below catastrophic levels, we have a chance to re-stabilise our delicate climate. We can, as citizens, consumers and countries, choose clean energy, forest protection and ecological farming to cut climate pollution. Together we can heal the climate and in the process of working together build a safer, greener fairer world. Next PostFake news: do we need a supervisor organ or a self regulatory code for media giants?